Dark Age of Camelot is a massively multi-player online role-playing game conceived and developed by Mythic Entertainment. Set in the Kingdom of Albion in the years immediately following the death of King Arthur, players of the game enter a world in chaos, where Arthur's peace has been shattered and dark forces threaten the Kingdom. Unlike traditional role-playing games in which a player's greatest challenge is fighting computer-controlled monsters, players in Camelot will come face-to-face with their greatest challenge yet, other players. 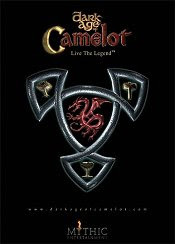 In Camelot, players must choose to be members of one of the three Realms that are striving for mastery in this chaotic world: The Britons, the Celts, or the Norse. The Britons are the former kingdom of Albion, once ruled by the great King Arthur. The Celts are from the wild and magical western island of Hibernia. The Norse are the large barbarians from the lands to the north of Albion. 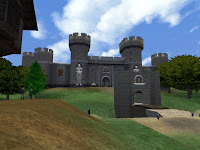 Building upon the foundation laid by such great games as EverQuest, Asheron's Call, and Ultima Online, the game features 3D-accelerated graphics with movable camera, multiple class and race combinations, and has built in and balanced team Player vs. Player (PvP). 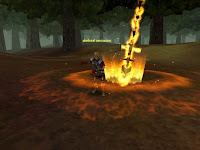 Unlike its predecessors, in Camelot, PvP conflict is an integral part of a player's experience in the world, not an afterthought. (Please note that Voodoo 1/2/3/5 cards are not supported in Camelot, although Voodoo 3's and 5's may work). Dark Age of Camelot is one of the oldest MMORPG still active and perhaps that’s because folks at Mythic know how to spoil their subscribers.